“We know where we are going”. Good morning Ian, first of all congratulations on your recent appointment as CEO. Could you tell me a little about your career path with the company? I joined Louis Dreyfus in 1986 as a trainee on their domestic grains desk in Norfolk in the UK. Relatively quickly I moved to London where I ended up running the UK grains desk before moving to Paris to trade global feed grains. After Paris I moved to Melbourne to trade Australasia grains. In 1993 I moved back to London as a sugar trader and in 1996 I took over as manager of the global sugar trading operation, which I ran until 2004, adding sequentially coffee, cocoa, rice, ethanol, grains. In 2007/2008 I exited LDC to create a new company with the LD group, Edesia Asset Management. It had a brief to use the insights, information, access and skill sets gained at LDC to the benefit of third party capital, and to create a fund management entity. We launched in November 2008—which was probably the worst time ever to launch a hedge fund—but by 2010 we had $3 billion under management. We were one of the largest commodity focused asset management groups in the world. It was a great story. By 2016 the hedge fund world was undergoing a period of change, a combination of investor dissatisfaction with commodity returns—not our returns, but commodities as a sector. This led to a large number of high profile hedge fund closures. We certainly saw a change in sentiment for hedge funds as a whole. In consequence we had gone from 52 investors in 2012 to 17 investors by end 2016 when our assets were running at $1.7 billion. We were still one of the largest, if not the largest, commodity hedge funds in the world, but we realised at the group level that the future of the business was uncertain. Concentrating on agriculture we had become a niche within a niche. We decided that we would profit from our successful track record and the ability to return capital to investors in a profitable performance year. We exited with a strong reputation and we moved key individuals, who had gained experience outside of the physical trading world, back into LDC. We closed Edesia at the end of 2017 and I was asked to come back to LDC where I became Chief Strategy Officer. I took over as CEO in September 2018. Knowing what you know now, do you think that there is a future for hedge funds in agricultural commodity markets? Unless you have a deep understanding of the physical markets and the geographical relevancies of the different commodities it is challenging to be a hedge fund in the commodity sector. The necessary skill sets usually sit within large integrated physical commodity trading businesses. So in a sense the only way a hedge fund can succeed in commodities is by being closely aligned to a trade house’s geographic footprint and management. That poses questions regarding structure and information conduits. We managed that challenge well at Edesia, but it is a big hurdle to any new start-ups. I suspect that the probability of success for any new entrant is low. However, I do think there is a future for integrated asset management in commodities, but not necessarily via hedge funds. Our investor base in Edesia was primarily large pension funds, sovereign wealth funds, and corporate and state pension funds. Most of the commodity trading companies today are not listed, and it is difficult for investors to get access to what they are looking for—the relatively clear long-term agricultural story. There is an appetite for external capital to find a way into the sector. That may be through private equity or venture capital; it probably today isn’t through hedge funds. Glencore recently opened up their agricultural commodity unit to outside capital. Is this something that LDC would consider? That is a decision for our shareholders and Akira B.V. the Louis-Dreyfus family trust that has a majority shareholding in LDC. Our Chairperson, Margarita Louis-Dreyfus, has said on several occasions, including recently, that Akira wishes to keep all options open, with the interests of the company always as a priority. She has said that this could be in many forms, including strategic partnerships. So, no options are excluded. We are also looking to grow different parts of our business through joint ventures, partnerships, acquisitions, etc. Algorithmic trading systems have changed the way markets move. Do you think that computers now make better traders than humans? The advent of algorithmic trading systems is just one of the changes that the sector has experienced. Our business has changed completely since I joined back in the 1980s. I remember when I went on my first business trip to Russia; counterparts there didn’t even have fax machines, let alone Reuters screens or iPhones with instantaneous price discovery. Digital disruption, for want of a better expression, is a reality. Both consumers and producers are far better informed, and more rapidly informed, than ever before. But the traditional trading companies still have an edge in their deep understanding of production and consumption economics, the value chain and the associated timing. Detailed supply and demand analysis still works. Price convergence in over- and under-supply markets still creates the traditional responses, whether it is on the flat price, in the time spreads or physical premiums. Market price moves to constrain supply and stimulate consumption in over-supplied markets, and vice versa. However, the path to that convergence has become ever more volatile. Markets now arbitrage information instantaneously. Market price always reflects consensus. If there is a divergence between that consensus and what we consider to be reality then the question we have now to ask is, what route will the market take to achieve that convergence? This is made harder by the fact that the discretionary capital in the futures markets has declined relative to non-discretionary capital. We now have a dominance of long only products, of high frequency traders, of macro-capital—which to be fair can be discretionary—that creates a distorting effect. If the fair value is x but the money flow pushes price to x+10 or x-10 it amplifies the convergence requirement. This forces—and I think the markets are still in an evolutionary process here—a rethink of traditional risk management techniques. The old school “we are right and we will wait to be proven right”—well, it just doesn’t work anymore. What do you think is the biggest change in the business since you joined? We have already talked about the digital revolution: how that applies to price; how it doesn’t change the opportunities but changes the methodologies that traders need to employ. More important than that is the way in which the traditional role of the intermediary in the commodity markets has largely disappeared—or at least materially changed. A significant disintermediation has taken place. This has many different, but already widely discussed, drivers. In the past, most trading houses have had an origination focus –and some of the new entrants into the business are still origination-centric. We at LDC see our role as value-chain managers; we are mandatory value-chain participants. To succeed today a trade house needs to be integrated along the value-chain, and to become less of a trader in the conventional sense. And you think that LDC can still be relevant…can still add value to the supply chain? Very much so. Take protein for example. It is a well-known story that the primary growth of protein consumption is in Asia; in particular, the rate of growth in China of meat demand exceeds China’s ability to produce the raw materials necessary to produce it. The rationale for this is well documented: a combination of GDP and population growth; urbanization; and a dietary shift towards more western diets. The reality is that as people get wealthier they eat more. This creates a systemic and material growth in protein consumption leading to a protein gap. It is very easy in the west to have a preconceived view of China, but when you become immersed in the country you realize that China is jumping over many Western developmental steps. There is a clear desire to ensure that food can be traced—that consumers can be confident that it is safe. There have been a number of examples of food contamination as a result of the lead-time between the production and the consumption of the food. Many emerging countries are not used to the western supply chain model. If your food is coming through a semi-industrialised chain people need to be certain that what they are eating is safe. When you visit some of the more innovative retail outlets in China it is astonishing to see the level of technology that they are using to ensure that the consumer has confidence in their food safety. As a global commodity participant LDC can supply complete traceability where appropriate, or close to complete traceability where it is more difficult. In some cases we are ourselves the producers, and in other cases we are the direct link to the first producer. We not only handle the logistics but in some cases we are the industrial transformer. It is different sector by sector within the agri-supply chain, but for a trading company to succeed it needs to have that integration. The margin is to be found in integrating the whole supply chain, not in any particular section of the supply chain. It is hard to make the statement today that the money is in originating beans or in trading beans. The margin is in the full value chain. It sits within the value chain. This move up and downstream is not something that is discretionary. It is mandatory. To fail to do that risks disappearance. But when you have a traceable supply chain you lose flexibility and tradability. Not necessarily. Once you have built the conduits for traceability that traceability is transferable. But we not only have to make sure our commodities are traceable; we have to ensure that they are produced sustainably. This is something we take very seriously. The rate of adoption by the end user of the dual concepts of traceability and sustainability has been really rapid. It has become mainstream. To fail to do that results in marginalisation. So once you put in place the conduits that ensure that your commodity is both traceable and sustainable the flexibility is still there. For example if you are selling Brazilian sugar into Indonesia and freight rates change you can flip that cargo to another destination while maintaining both sustainability and traceability. If a company is well structured you can then transfer that traceability – it isn’t lost. It is this multi-geographic footprint that is important. One of the things that trading companies are realizing is that size really does matter. A trade house’s geographic footprint matters. I think trade houses with insufficient geographic footprint lose that flexibility. Looking at your competitors, Glencore Agriculture says that 85 percent of their profits come from distribution and logistics and only 15 percent from trading. Cargill is making a big move into protein, and ADM into ingredients and higher value foodstuffs. Olam has done a successful move into what were once considered niche areas, but on such a large scale that they are no longer niche. Has LDC identified a particular focus area? Yes, very much so. There are four pillars to our strategy. The first is to build on and improve our traditional merchandising function. We recognize that traditional merchandising has changed, and we need to ensure that we have the correct geographical footprint and the correct information base to understand price evolution in order to maintain the flexibility that has always been a core element of profitability. That means maintaining the origination base. It also means increasing our consumptive footprint where appropriate. This can mean getting closer to the consumers in the case of coffee or sugar, or going further downstream in the case of oilseeds and grains. That plays into the logistics element. The second is to recognize that disintermediation is real and that we either need to be closer to the consumer in an integrated value chain, or be a consumer ourselves. We see vertical integration and particularly vertical downstream integration as a core to our activities. An example of that is the new crushing plant that we have opened in Tianjin in China. This takes us down the animal protein route. It may mean going even further downstream, into bottled edible oils, or other branded products, or whatever is appropriate. The third pillar, which follows on from that, is to move more into ingredients as an active participant in the food sector. We are already in that business, for example we produce glycerine and lecithin as an adjunct to the soya business, or citrus oils and essences from our orange juice business. These were traditionally considered as by-products. Clearly there is an opportunity here to identify cross commodity areas. Our fourth pillar is innovation, not necessarily in technology, but in food. We are looking at the future of food, at alternative proteins and ingredients and working to be ahead of the curve in supplying consumer needs. So we know where we are going. In five years time LDC will be more of a diversified food and nutrition company in addition to being a traditional commodity merchant. We have the strategy and the roadmap is clear. It is my task now to successfully implement that strategy. What is LDC’s USP (Unique Selling Point)? LDC is differentiated by its long family heritage, the diversity and geographic spread of its agricultural product portfolio and the degree of integration across its value chain. Together, these factors give the company a unique identity and ability to leverage opportunities and mitigate risk over time. It is interesting to see the way that the different trade houses are evolving, the different paths they are taking. People tend to lump the ABCDs, as well as Glencore, COFCO, Olam and Wilmar into the same basket. But commodity companies now have different focuses; direct comparisons are no longer valid. The acronyms are no longer valid. 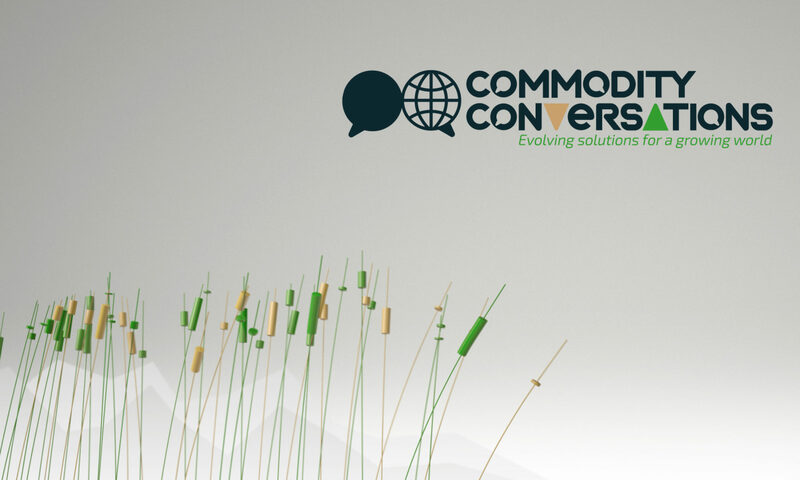 The full conversation will be published in the new Commodity Conversations book “Alphabet Soup” due out in autumn 2019.